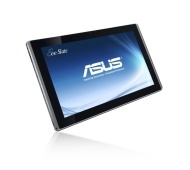 alaTest has collected and analyzed 453 reviews of Asus Eee Slate EP121. The average rating for this product is 3.9/5, compared to an average rating of 4.3/5 for other products in the same category for all reviews. Reviewers really like the design and durability. The screen and usability also get good feedback, but many are negative about the price and reliability. We analyzed user and expert ratings, product age and more factors. Compared to other products in the same category the Asus Eee Slate EP121 is awarded an overall alaScore™ of 85/100 = Very good quality. alaTest has collected and analyzed 257 user reviews of Asus Eee Slate EP121 from Amazon.com. The average user rating for this product is 3.9/5, compared to an average user rating of 4.1/5 for other products in the same category on Amazon.com. Reviewers really like the performance. "Best windows tablet to date." Great computer. Is the same thing as the new B121 model. I recommend it to anyone & everyone. Includes Bluetooth keyboard, pen, case. Hard screen is easy to write on. Recognizes pen and finger input automatically, scroll with finger automatically. Sharp movements loosen the battery cable and it won't turn on or charge. You can either send it back and they will fix it, send it back or pop the back off and just unplug/replug the battery. I suggest the second option. Best windows tablet to date.